£3,200 compensation for British couple after nightmare illness at the Hilton Sharks Bay. At HolidayIllnessClaims we have recently helped a couple from Watford receive £3,200 in compensation after suffering gastric illness on holiday at the Hilton Sharks Bay in Egypt. Gemma Saunders and Joe Pates had both fallen ill within four days of their romantic Egyptian getaway and were forced to seek medical treatment from a local clinic for symptoms of sickness, stomach cramps and diarrhoea. After returning home the couple contacted the experts at HolidayIllnessClaims and were able to make a successful no win no fee claim against their tour operator Thomas Cook. If your Thomas Cook holiday has been ruined by sickness in the last 3 years, our dedicated solicitors could help you. To find out what your claim could be worth, call us now on 0800 01 54321. What happened at the Hilton Sharks Bay in Egypt? Gemma Saunders and Joe Pates, both 22, had booked their Egyptian break to celebrate two years together as a couple. Yet their hopes of a romantic getaway in the sun were ruined just a few days into their holiday when they began to suffer symptoms of sickness, diarrhoea and stomach cramps. As their symptoms worsened, the couple sought medical treatment and Gemma Saunders was eventually attended by a hotel doctor who administered injections. However as her symptoms worsened, she was admitted to a local clinic, requiring the intravenous injection of fluids to prevent dehydration. Despite this treatment, Gemmas symptoms continued for three weeks after her return home. This led Gemma Saunders and Joe Pates to contact our holiday illness claims team to pursue a claim for compensation against their tour operator. Joe Pates commented: It really was a horrible experience. You would never expect to get so ill during a holiday and we were still suffering with it when we returned home. We were not really aware at first that you could make a claim for a holiday illness. Wed like to thank Anne and Tracy for all the help they gave us. Tracy Stansfield, an experienced holiday claims solicitor, commented: We are pleased to have helped both Gemma and Joe obtain compensation for the very nasty illness they have contracted. Holidays can very quickly be ruined when medical treatment is required in a foreign clinic and this can lead to a great deal of distress. I trust that the tour operators and hotel management will investigate the reports of illness at the Hilton Sharks Bay in order to prevent the further spread of infection. 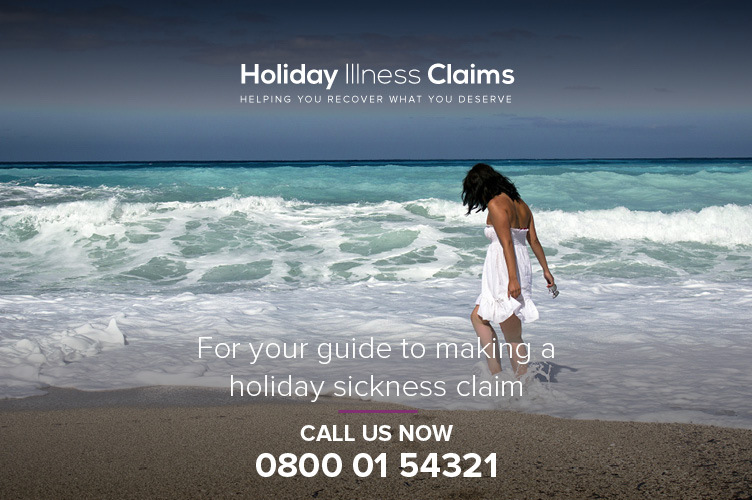 Our holiday claims specialists have over 50 years combined experience handling holiday illness compensation claims. They are always on hand to answer any questions you may have on the claims process. To receive a free, no obligation initial consultation, call today on 0800 01 5431 . Or , if you don’t have time to talk to us right now, you can arrange a call back by completing our online holiday illness enquiry form.